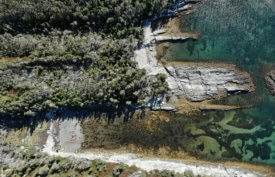 Timeworn rock faces, diverse habitats, and rugged beauty inspired landscapes painted by artists of the Group of Seven.Georgian Bay is part of the southern edge of the Canadian Shield, with granite bedrock exposed by the glaciers at the end of the last ice age, about 11,000 years ago. 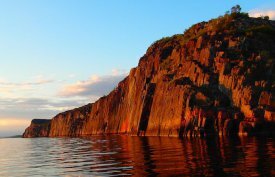 This unique geology never fails to surprise! 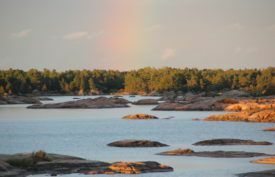 The granite rock formations and windswept Eastern White Pine are characteristic of the islands and much of the shoreline of the bay. 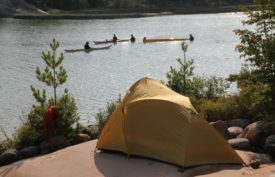 This blissful 5-day adventure includes all meals and equipment. 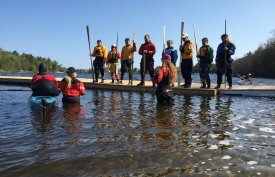 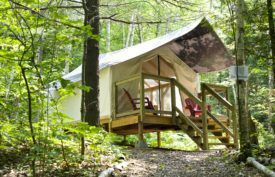 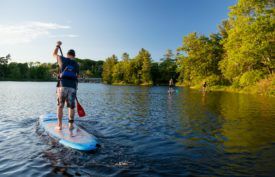 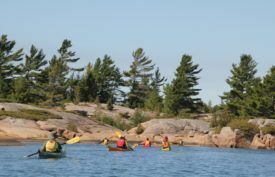 You begin with 1 night at Harmony Outdoor Inn in Parry Sound with an afternoon coaching session. 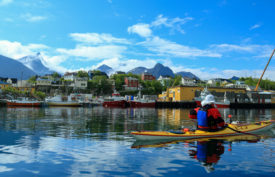 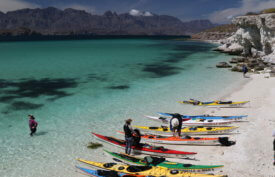 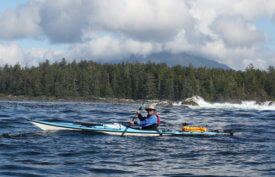 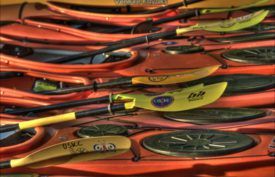 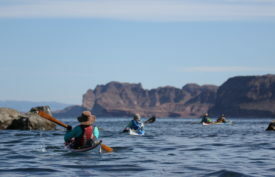 The next morning you head out for a 4-day sea kayak trip with 3 nights backcountry camping. 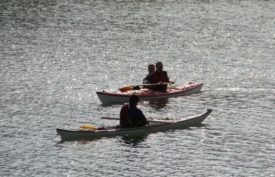 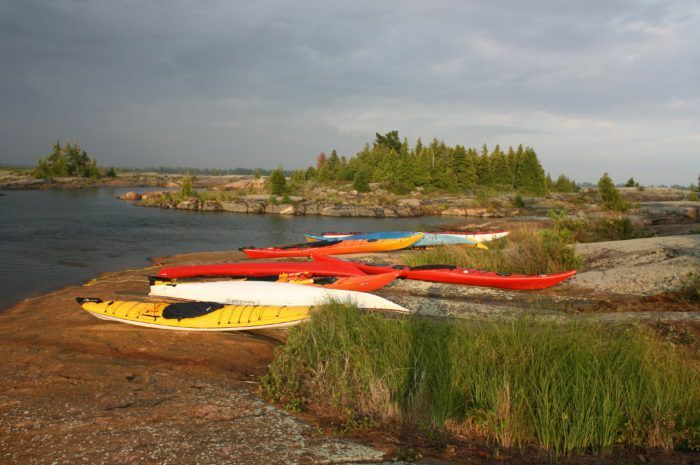 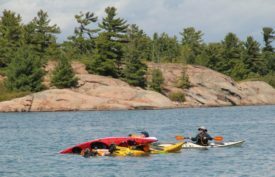 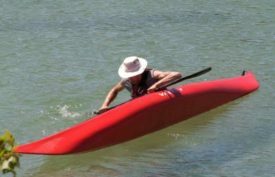 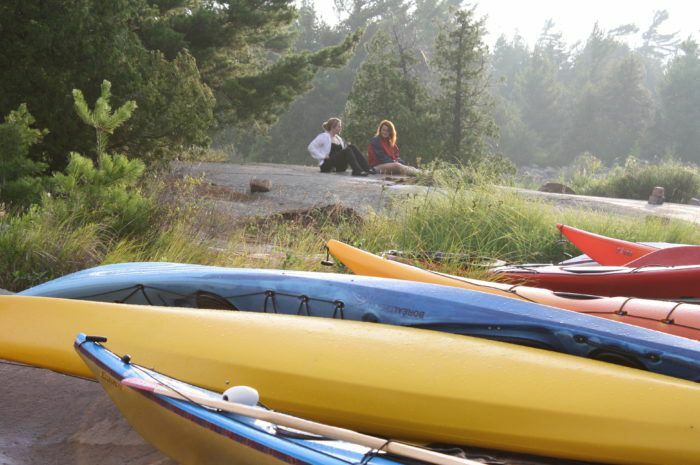 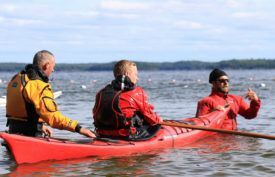 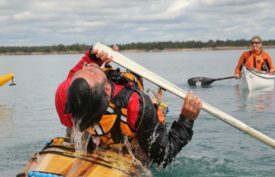 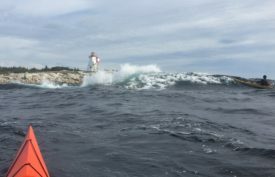 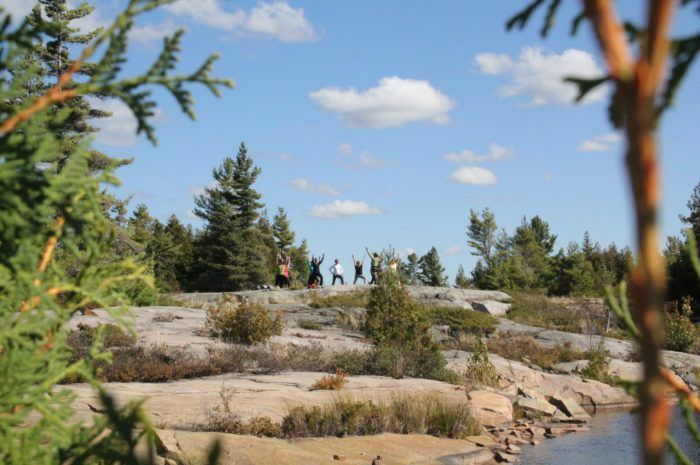 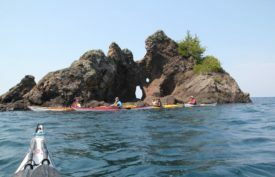 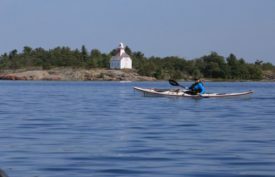 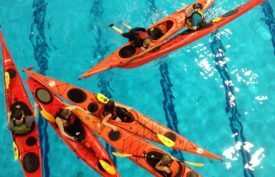 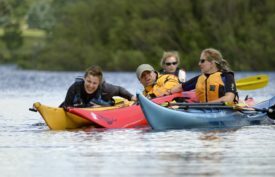 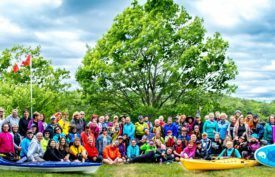 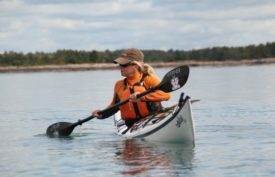 This trip provides you with an opportunity to combine a wonderful Georgian Bay kayaking experience with outdoor yoga practice in the beauty of nature. 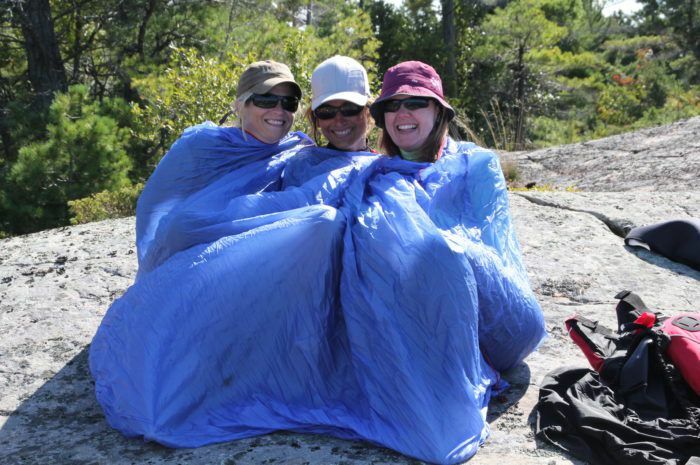 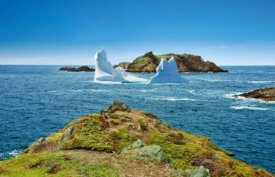 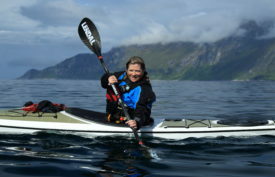 Click here to read more about this trip on the Wild Women Expeditions site!